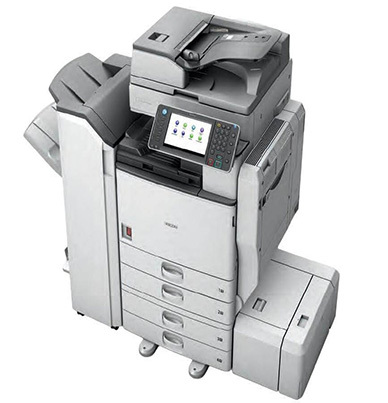 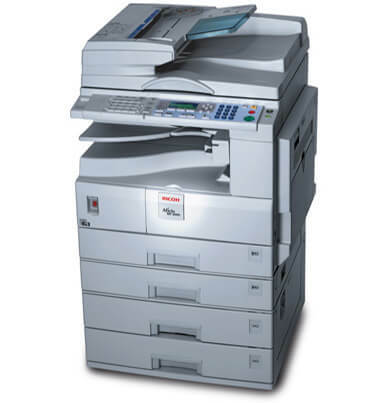 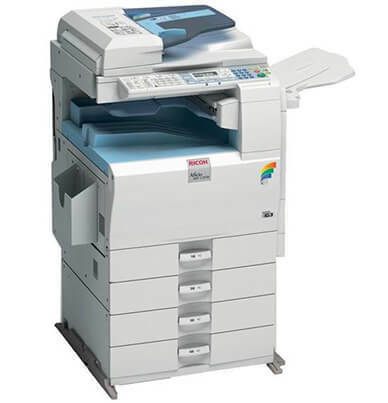 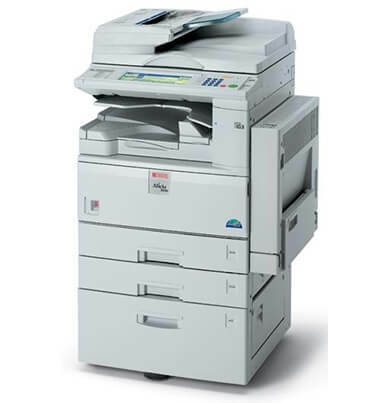 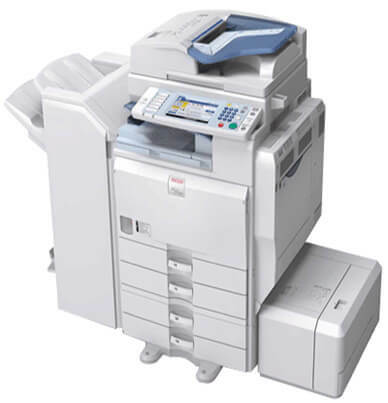 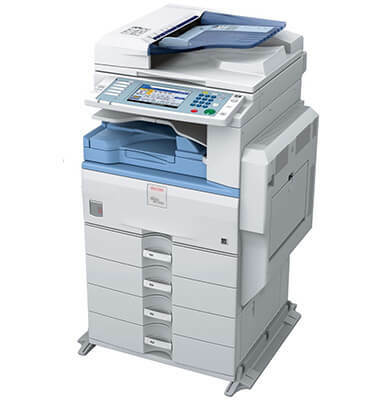 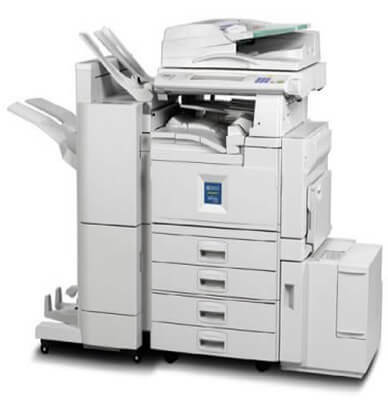 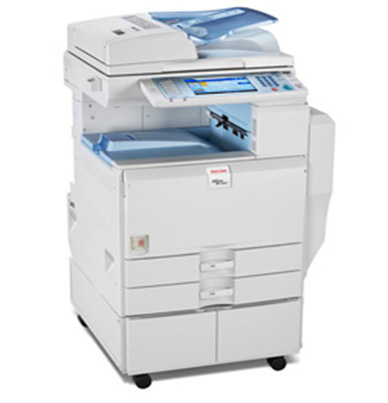 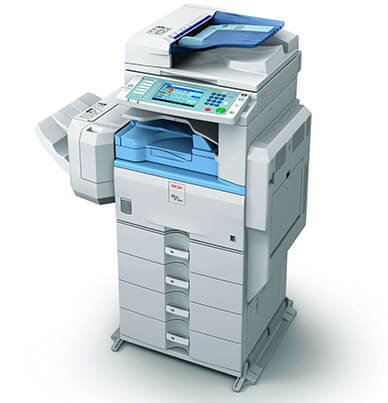 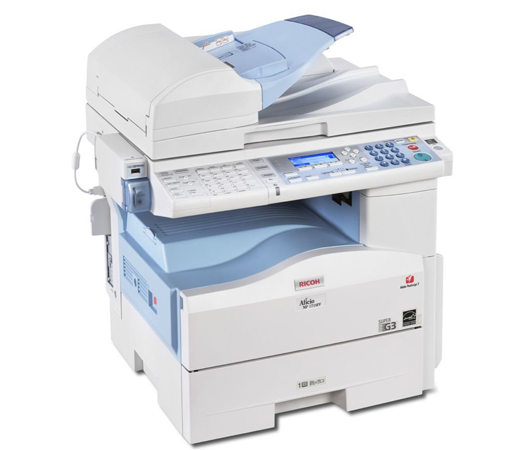 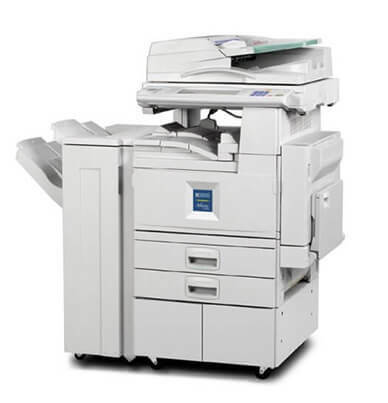 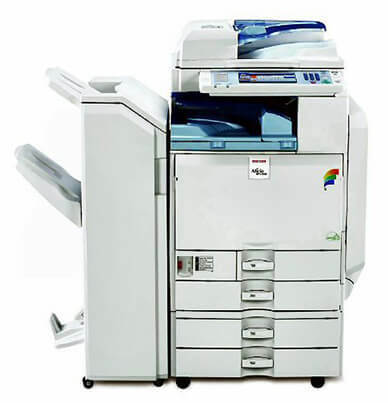 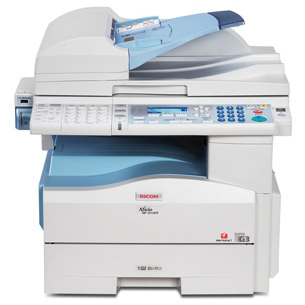 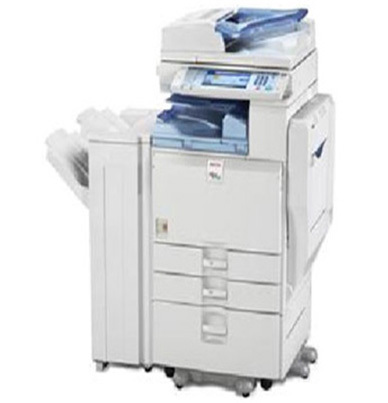 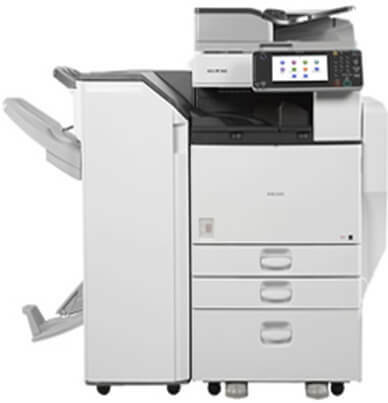 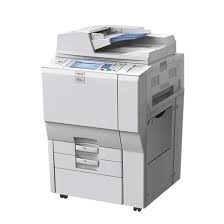 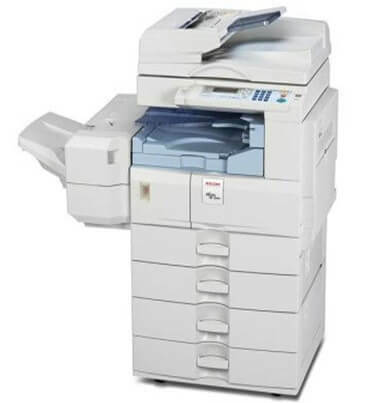 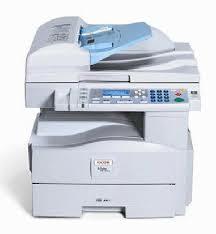 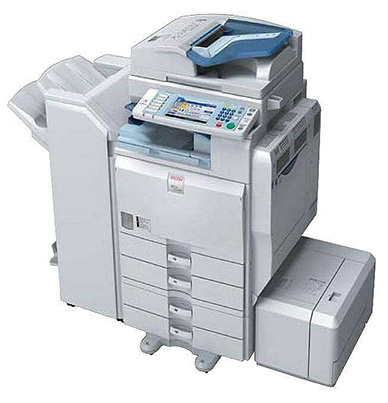 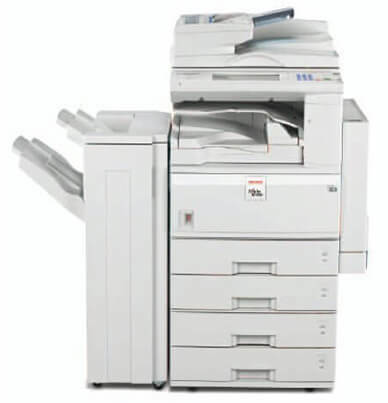 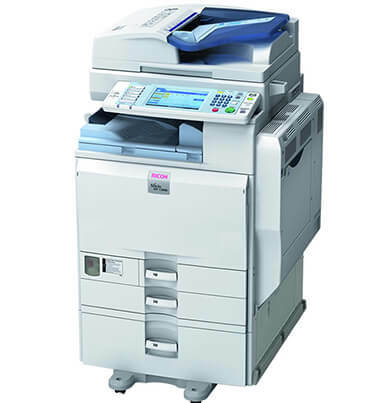 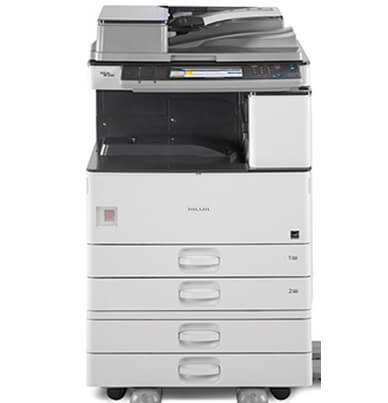 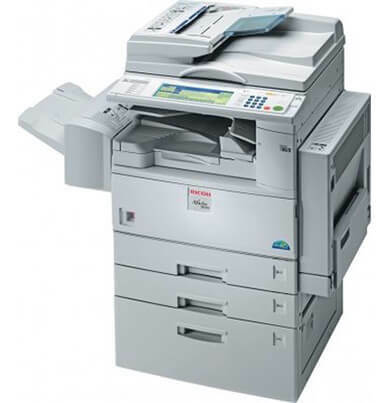 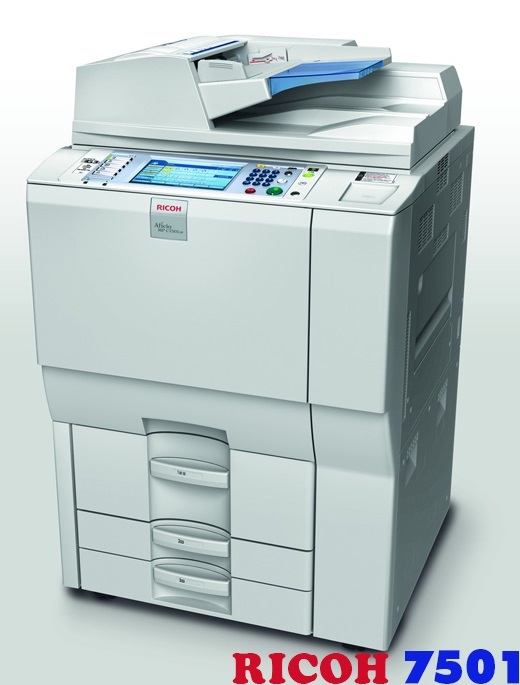 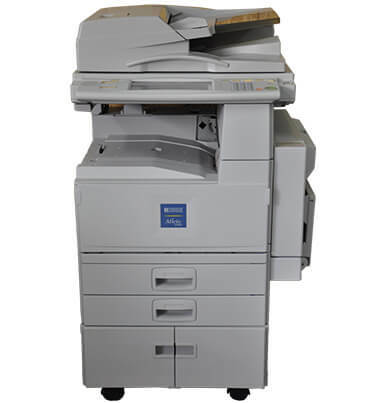 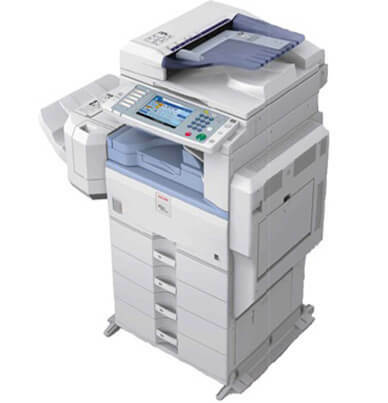 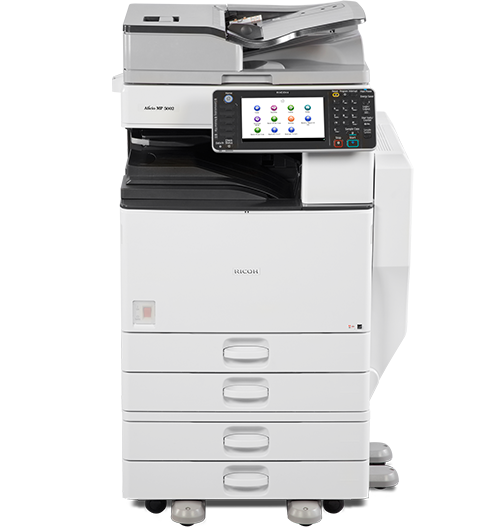 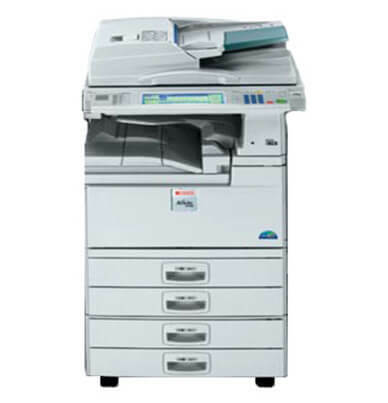 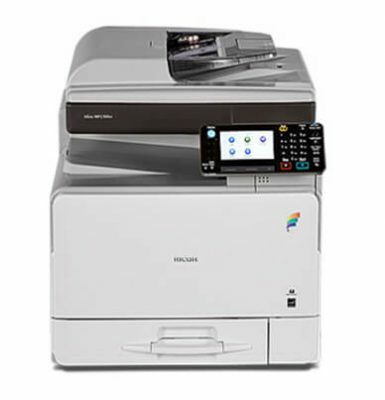 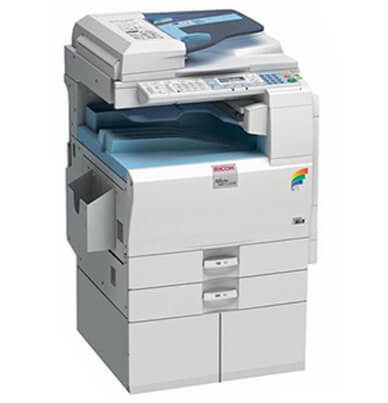 The Ricoh Aficio MP 4000 combines copy, print, scan and fax capabilities onto one machine, eliminating multiple machines throughout the office. 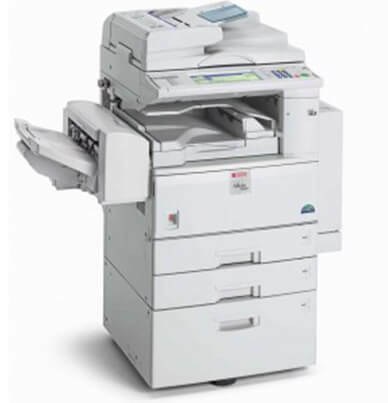 When it is “crunch time” the AFICIO MP 4000 will deliver projects at a rated speed of 40 copies-per-minute and the first printout in as little as 4.1 seconds. 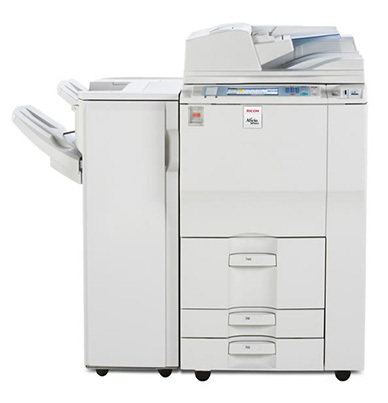 Clients will be impressed with the crisp 600 dpi resolution. 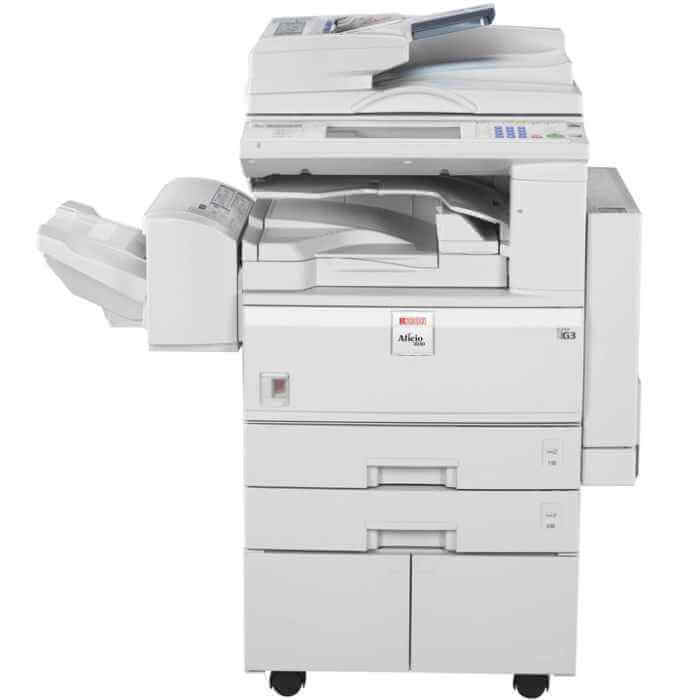 The AFICIO MP 4000’s 1,050-sheet standard paper capacity will eliminate the frustration of reloading paper during a print job. 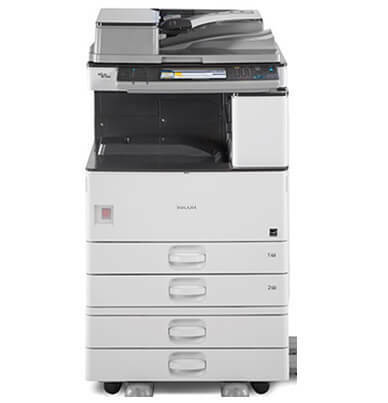 The dual 500-sheet paper trays will hold paper sizes up to ledger size (11″ x 17″). 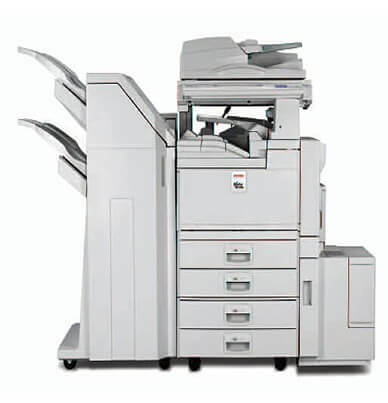 The 50-sheet bypass tray will process envelopes, labels, letterhead, and any other media needed to complete mailers, brochures, or pamphlets. 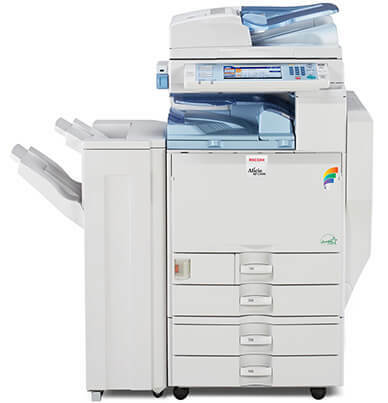 When it is time to replace the AFICO MP 4000 black toner, Precision Roller offers the genuine Ricoh brand at a competitive price. 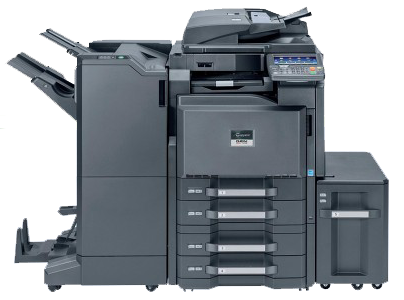 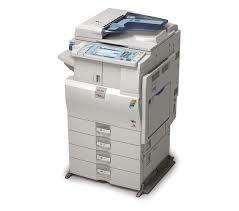 The AFICIO MP 4000 black toner (480-0397) will yield an estimated 30,000 pages at 5% page coverage.